My news feeds often contain screaming headlines designed to encourage readers to “click through”. Often the article is much tamer and sometimes fails to justify the headline. Consider this headline from Yahoo News: “Bubonic Plague Surfaces In Michigan for First Time As Average Annual Cases Double” or this one from CNN: “Bubonic plague reported in Michigan”. The headlines suggest that plague can now be contracted in Michigan. Not true! The less alarming story: A Michigan resident traveled to Colorado, a state where plague has been endemic for years, and contracted plague there in Colorado. There is a slight danger that plague could be transmitted to a local flea population if infected travelers or infected pets are bitten by fleas after their return. 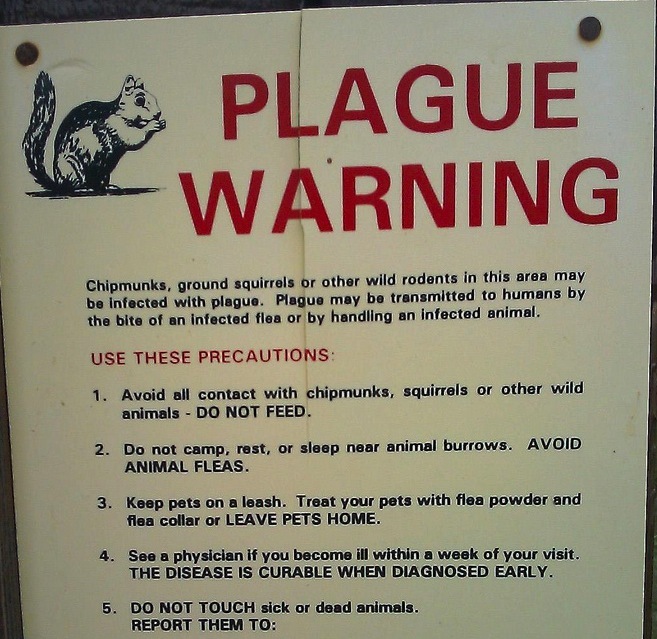 However, there is no indication that plague has been transmitted to the local flea/rodent population. This entry was posted in by jjneal, Health, News. Bookmark the permalink.